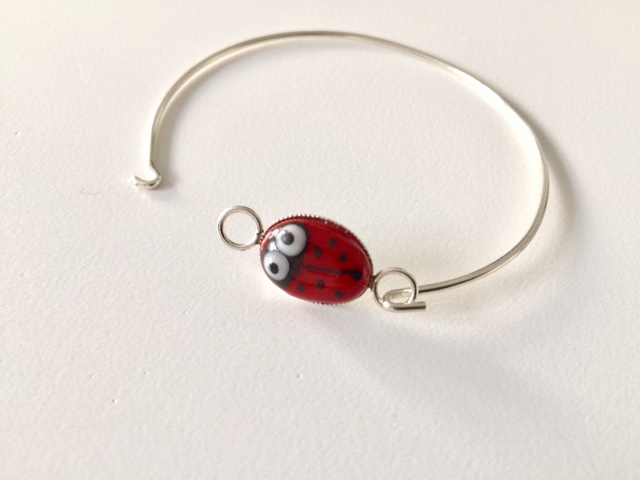 Gorgeous Sterling silver bracelet with glass ladybird detail. 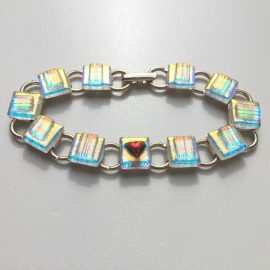 Suitable for a small wrist and children. 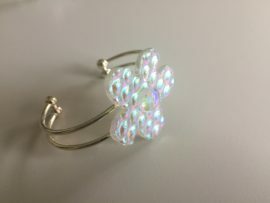 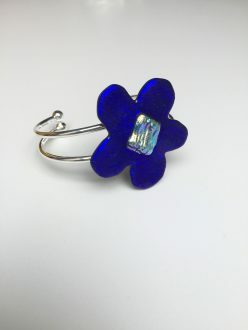 Dark blue dichroic glass flower on a sterling silver slave bracelet. 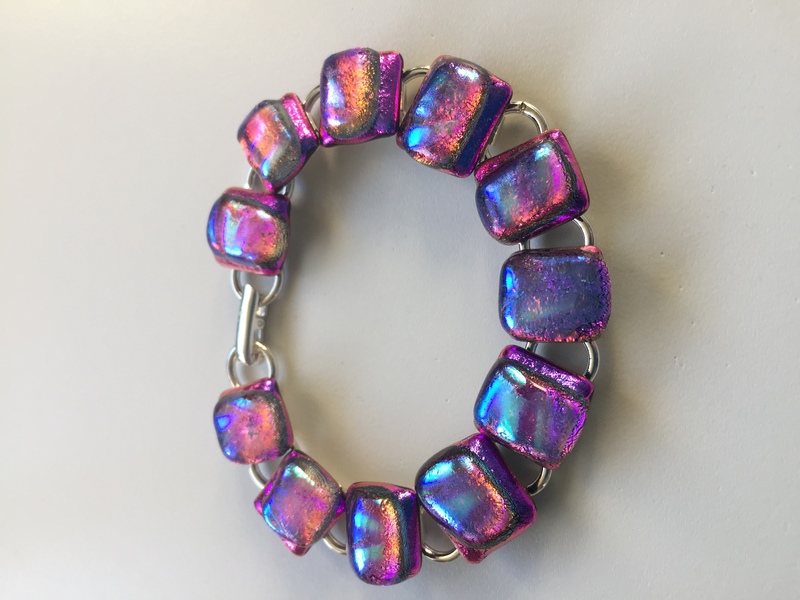 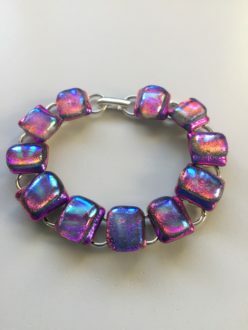 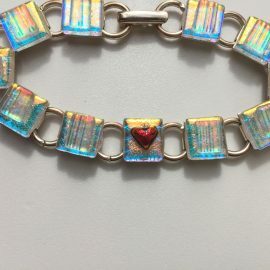 Pink dichroic glass bracelet on plated silver links. A charming and vibrant addition to any outfit.